In this article, we showed you how to add a domain to one of our Multi Domain Hosting packages. The following steps show you how to amend various aspects of the hosting package once it has been created. Once logged into your Control Panel click on the Manage Hosting link below the domain. 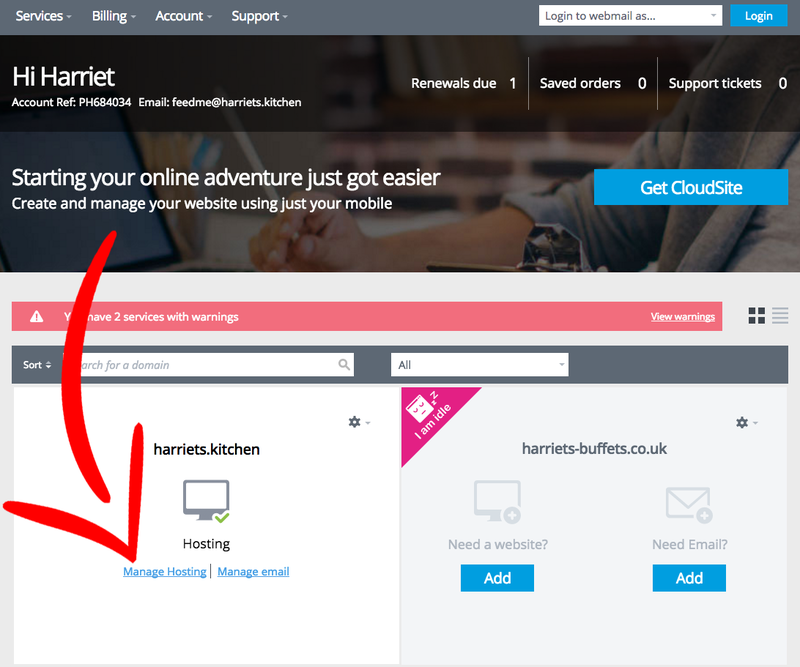 You will then see a list of your domains in the centre of the page. 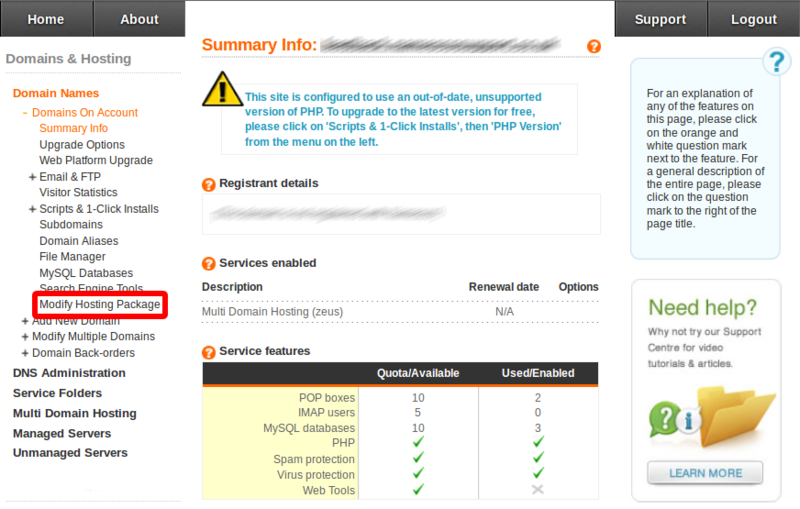 Click on the one that you wish to edit the configuration of the hosting package for. Click on Modify Hosting Package from the left hand menu. You will see a page very similar to the initial hosting creation page that was mentioned in this article. 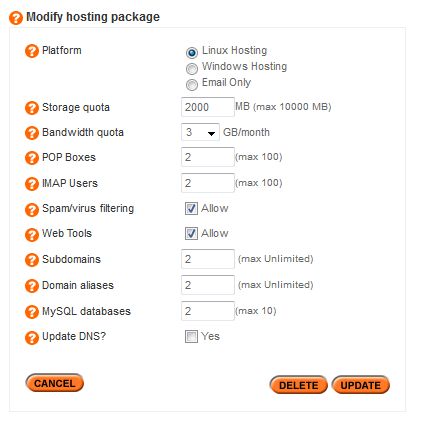 From this screen you can amend any of the hosting options displayed. Note - Remember that if changing from one hosting platform to another. this will remove ALL website and email content associated with this domain.